Welcome home! This large, inviting village home offers plenty of living space. The home boasts a spacious living room, 416 square foot great room with cathedral ceilings and tons of natural light, first floor laundry and workshop. 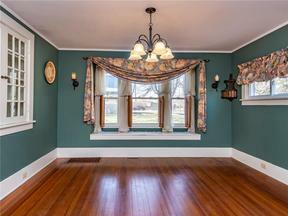 The eat-in kitchen and formal dining room with a window seat add to the charm of this traditional house with modern touches. Four bedrooms, two bathrooms and two staircases compliment the upstairs. 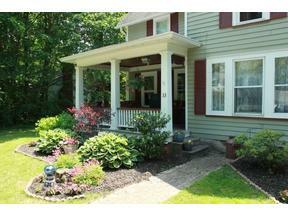 The house sits on an overzied lot and is accented by an inviting front porch and back deck. Best of all, check out the huge 3 bay garage with a second floor for an additional 1000+ square footage for entertainment and hobbies. Conveniently located within a very short walk of restaurants, coffee shops, shopping, schools and entertainment! Disclaimer: Any use of search facilities of data on this site, other than by a consumer looking to purchase real estate, is prohibited. All information deemed reliable but not guaranteed and should be independently verified. All properties are subject to prior sale, change or withdrawal. Neither listing broker(s) nor Keller Williams Greater Rochester shall be responsible for any typographical errors, misinformation, misprints and shall be held totally harmless. ©2019 Western New York Real Estate Information Systems. All rights reserved.